Dr.Mohit Agrawal: Hard work, with the correct guidance provided by DAMS and luck. Dr.Mohit Agrawal: I received tremendous support from my friends and family, especially my parents and brother, along with the blessings of my grandparents. Special thanks to my friends Praveena, Aniket, Pulastya and Swarnendu. 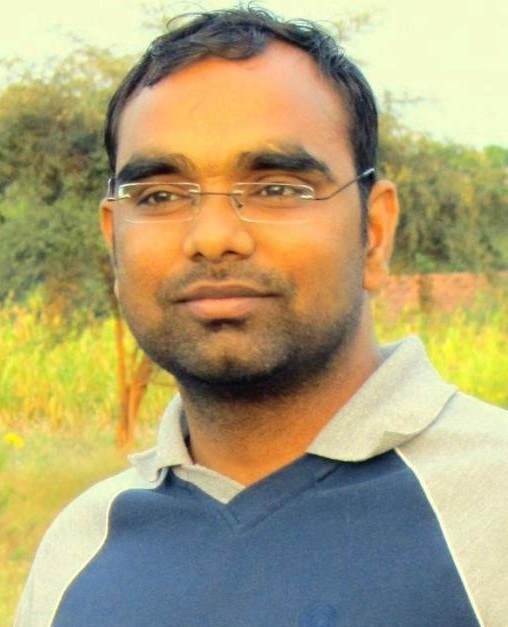 Dr.Mohit Agrawal: It was my own decision as I was interested in this field. Dr.Mohit Agrawal: Yes, everyday.....there were many ups and downs along the way. Dr.Mohit Agrawal: DAMS class notes and printed material will suffice, with a bit of extra knowledge gained on the internet. Dr.Mohit Agrawal: I read Amit Ashish and Mudit Khanna, last 5 year papers, Arvind Arora for Patho and Com Med, Gobind Garg for Pharma, and DAMS printed material and tests for MCQs. Dr.Mohit Agrawal: DAMS classes were the base on which I built my whole preparation...so immense gratitude. It was really a good decision to join DAMS. Dr.Mohit Agrawal: Selective intensive study, with special focus on topics stressed upon in class and those that are repeated frequently. Dr.Mohit Agrawal: I think multiple exams give you a better chance of excelling in at least one, because even with the same level of preparation you can never be sure as to what topics end up being asked in the final exam. 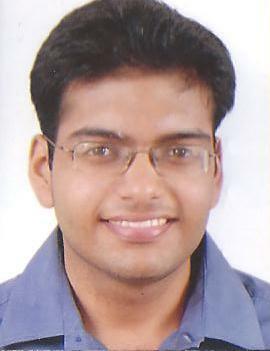 Dr.Mohit Agrawal: I focussed on the short subjects and 1st year subjects because they are the most productive. Dr.Mohit Agrawal: I attempted 180 questions...I left all those questions which I knew very little about. Dr.Mohit Agrawal: I want to take up Surgery, which hopefully I will get with my rank. Dr.Mohit Agrawal: I would definitely recommend DAMS to all my juniors, it is not possible to single out a particular teacher as I thought all of them do a amazing job teaching their respective subjects. Dr.Nishtha Yadav: Continuous studies in MBBS is what is needed, if you are regular with your studies, it’s easy to get through these exams. Dr.Nishtha Yadav: They always supported me throughout. My parents, my sister Mansi Yadav and above all my grandmother. Also, my amazing friends, I earned in MBBS Mugdha Anand, Neha Gurha, and Samrin Haq. Dr.Nishtha Yadav: My parents- my father is a Neurosurgeon and mumma is a gynaecologist. They have always been my inspiration. Dr.Nishtha Yadav: I believe in hard work. It always pays off is the end. Dr.Nishtha Yadav: Across, Amit Ashish, Mudit Khanna , Short subject – Arvind Arora, Govind Garg- Pharma & Pathology, Vivek Jain for PSM. Dr.Nishtha Yadav: I joined the foundation course in DAMS which helped me clear my concepts from the beginning itself. Especially medicine taught by Arvind sir really cleared my concepts. Dr.Nishtha Yadav: Definitely centre o grade for me. As long as your theory is strong you can always solve any MCQ especially the new ones. Dr.Nishtha Yadav: AIIMS was the first exam I appeared for and the result was at before my NEET exam. Dr.Nishtha Yadav: First year, Pathology, Pharmacology, Medicine, Surgery & OBG. Dr.Nishtha Yadav: I attempted 190 Question in AIIMS. I had seen the previous tread and knew that 190-195 questions should be the minimum amount to be attempted. Dr.Nishtha Yadav: Medicine MD, later on hopefully DM Cardiology. Dr.Nishtha Yadav: Medicine in foundation course I found him the best faculty member there i would definitely recommend DAMS to my juniors. Dr.Yaipharembi: The secret of my success in MCI screening is Hard work & maintaining continuity in my studies every day till the target that I want to achieved. Dr.Yaipharembi: My family gives me full support mentally & financially in every way whenever I needed them. Dr.Yaipharembi: My parents, my family & my friends & teachers of DAMS. Dr.Yaipharembi: During my preparation, at the very beginning when I started my study I had doubt about myself that I won’t be able to do it. As the day passes I keep on continuing my study till the last week before exam. Last week, I was ready to give the exam & I know that I can do it. Dr.Yaipharembi: DAMS Notes & Materials (Golden Points), Medicine-Mudit Khanna, Surgery-Amit Ashish, Pharma-Gobind, Patho-Sparsh Gupta, PSM-Vivek Jain. Dr.Yaipharembi: Kamal K.V, Medicine Mudit Khanna, Surgery Amit Ashish, Opthal Ruchi Rai notes, OBG Harmeet Goel, Short Subjects PROAFS, Pharma Gobind Garg, Patho SParsh Gupta, PSM Vivek Jain. Dr.Yaipharembi: In simple word, DAMS is the Best Institute for MCI Screening Test. Dr.Yaipharembi: Selection study is the better way for me paying more attention to those questions which are repeated asked in FMGE & PG examinations & related topics. 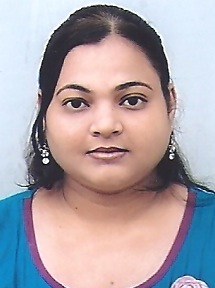 Dr.Yaipharembi: Mainly I focus on big subjects like Medicine, Surgery, Pharma, OBS & Gynae and Opthal. Dr.Yaipharembi: My strategy was that not to do silly mistakes in easy questions & 100% accurate correct answers to those questions which is known to me. I attempt almost all 300 questions. Dr.Yaipharembi: Gynecologist, because every female feels comfort to show their suffering to a female gynecologist. I would like to do it in Delhi. Dr.Priyanka Singh: Hard work & proper guidance. I am thankful to DAMS for making my way easier by proper guidance & selective. Dr.Priyanka Singh: I really thankful to my parents, family & friends for supporting me & having faith in me. Dr.Priyanka Singh: Yes, but after joining the DAMS my doubts are cleared & I got self confidence. I really thankful to DAMS which give me good guidance & selective studies. For FMGE have to do selective studies no need to do thoroughly studies. I always remembered Dr.Tushar sir words-Quality is important, not quantity. Dr.Priyanka Singh: PSM Vivek Jain, Opthal Dr.Ruchi Rai, Pharma Gobind Garg, Medicine Dr.Marwa, Surgery Dr.Vineet Gupta, OBS & Gynae Dr.Harmeet Goel, Patho Dr.Sparsh Gupta & all short subjects Ortho, FMT, Radio, Dermat, Psychy, Anesthesia, Pediatrics, ENT from PROAFS & DAMS Golden Points was very helpful for me. Dr.Priyanka Singh: Final Punch & Last 10 years papers. Dr.Priyanka Singh: During my preparation, I was in doubt in my ability to succeed but by joining DAMS not only my doubts are clear. I also got self confidence & believe which help me in not only succeed in my exam but scoring good marks & I have must to say that its very important to have faith in yourself. As I was telling my friends if I was not in DAMS I would have been topper in MCI Screening Test. Dr.Priyanka Singh: Selective & Intensive. Dr.Priyanka Singh: Opthal, PSM, Medicine, OBS & Gynae, Patho, Pharma, Surgery, Micro & all short subjects-Ortho, Radio, FMT, ENT, psychy, Dermat, Anesthesia, Anatomy must to Read. Dr.Priyanka Singh: I attempted all 300 questions because no negative marking. Dr.Priyanka Singh: Gynecologist because I have interest in OBS & Gynae.